With four Oscars, twenty Grammy awards and thirty million albums sold, Henry Mancini was one of the first personality composers of film music. Looking at jazz from a unique perspective, he created scores that were refined, witty, endlessly musical and instantly recognisable. With four Oscars, twenty Grammy awards and thirty million albums sold, Henry Mancini was one of the first personality composers of film music. Looking at jazz from a unique perspective, he created scores that were refined, witty, endlessly musical and instantly recognisable. His 1960’s film soundtracks are the epitome of timeless period style; The Pink Panther, The Days of Wine and Roses, Arabesque, Breakfast at Tiffany’s, where he first worked with Audrey Hepburn, and Stanley Donen’s incomparable Two for the Road, where they would again collaborate. Mancini’s brilliant score is the first of the soundtracks featured here. It was his personal favourite, one of a trilogy of scores he wrote for Donen. The Wallaces are Audrey Hepburn and Albert Finney. 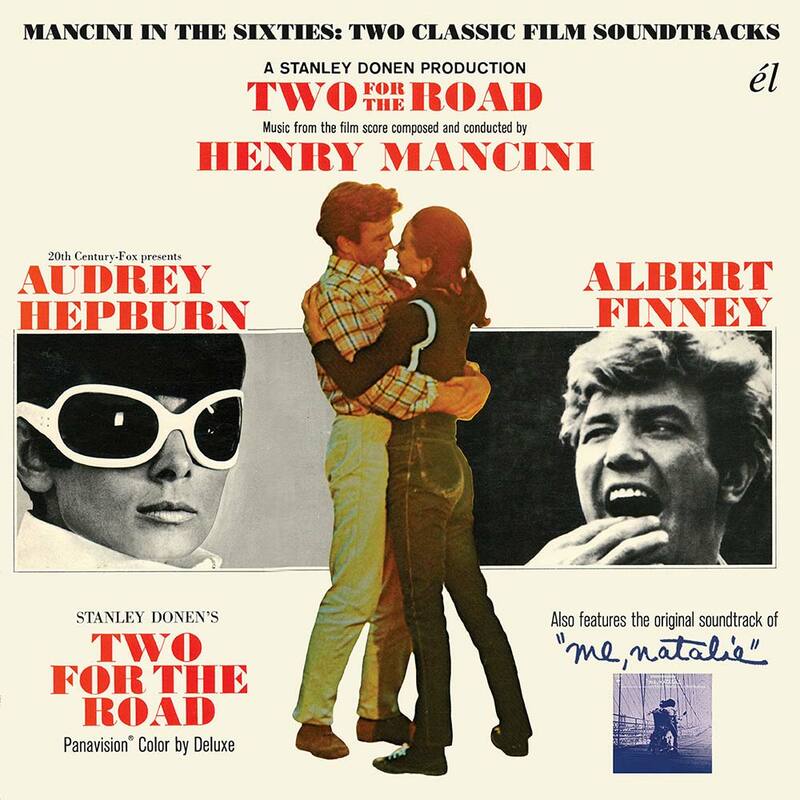 Two for the Road is an unusually structured romantic road movie with an Oscar-nominated screenplay from the pen of Frederic Raphael, a cleverly juxtaposed montage of a story about a British couple and their struggles in their marriage where, in the end, despite estrangement, mutual infidelity and discord, love conquers all. The edition’s second feature is Mancini’s gorgeous music for Fred Coe’s Me, Natalie, a perceptive coming of age film starring Patty Duke as an insecure young woman who escapes her Brooklyn family for a life of her own in Greenwich Village; a memorable performance (arguably the finest of her career) which won her a Golden Globe for Best Actress. Mancini’s eclectic score is complimented by two moving, characteristically weathered vocal performances by the poet and songwriter, Rod McKuen.